A Philippine labour group which last Thursday slammed a proposed PHP20 (about US$0.37) daily minimum wage increase for workers in Metro Manila as “demeaning” and out of step with rising inflation, yesterday called for Philippine President Rodrigo Duterte to intercede. The United States Navy is pushing for the Code of Conduct between Southeast Asian countries and China to prevent any miscalculations in the South China Sea. Growth prospects for insurance in six major Asean markets are supported by strong socio-economic fundamentals, but the pace and quality of growth will vary by geography, Moody’s Investors Service says. Telephone scams that target victims across the region may soon be a thing of the past, as China looks set to join hands with ASEAN to run joint operations targeting these syndicates. As Myanmar and Bangladesh limp toward implementing a bilateral agreement to repatriate hundreds of thousands of Muslim Rohingya refugees, the Association of Southeast Asian Nations is deadlocked on how to respond to the region’s greatest humanitarian crisis in a generation. Southeast Asia is a potential hotspot for renewable energy, yet the region has not met expectations because it lacks policy frameworks that would encourage investment, the International Renewable Energy Agency (IRENA) told Reuters. While populism is sweeping through Europe, North America, and now Brazil, it is also making gains in Southeast Asia. 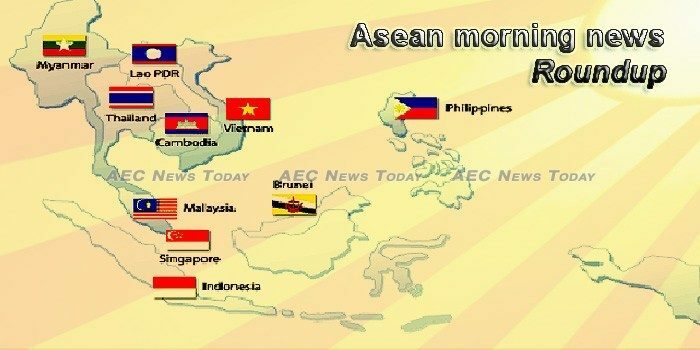 The Association of Southeast Asian Nations (ASEAN) is geared towards formulating strategies that would integrate biodiversity conservation in the health sector. The government’s plan to take a new $2 billion loan for next year’s budget will increase the debt burden to 31.5 per cent of the GDP next year, an analyst from credit rating agency Moody’s said, adding that it remained at a moderate level compared to other sovereigns. The federal government has confronted Cambodia over allegations of threats made against the Khmer diaspora and possible meddling in Australian affairs after Prime Minister Hun Sen returned his country to a one party state at elections in July. Cambodia’s garment industry saw 69 new factories open in the first nine months of this year. But 32 others closed during the period, said a Ministry of Industry and Handicraft report. The Chief of the National Search and Rescue Agency (Basarnas), M Syaugi, said here on Thursday that a total of 65 bags of bodies had been collected following the crash of Lion Air JT 610 plane in Karawang four days ago. Indonesia has moved down one place to 73rd in the World Bank’s Ease of Doing Business Index for 2019. Indonesian divers on Thursday retrieved a black box from a Lion Air passenger jet that crashed into the shallow sea off the coast of the capital, Jakarta, killing all 189 people onboard. Lao companies and households will benefit from reforms to the business environment, for instance reducing the number of days needed to start a business, through the Lao PDR Competitiveness and Trade Project. On November 1, 2018 the United States government formally handed over information technology and equipment to senior officials in the Anti-Money Laundering Intelligence Office (AMLIO) of the Lao PDR. The donation – part of the company’s ongoing commitment to investing in Laos’ social development – will assist COPE deliver programmes that help people with mobility-related disabilities access physical rehabilitation services. Malaysia had climbed up to the 15th position in the World Bank Doing Business 2019 Report from its 24th position the year before. MALAYSIA’S new government is set to deliver an austerity flavoured first budget on Friday, having unearthed more debt left behind by the previous administration, and needing extra revenue after ditching an unpopular consumption tax. The headline Nikkei Malaysia Manufacturing Purchasing Managers’ (PMI) — a composite single-figure indicator of manufacturing performance — dipped below the 50.0 no-change mark in October to 49.2 (from 51.5 in September) for the first time since July, signalling worse business conditions than in the previous month. The Philippines set suggested retail prices (SRP) for rice this week in an attempt to combat soaring inflation, with a top official warning that violators could face up to four years in jail. THE Philippine National Police (PNP) and the military are continuing clearing operations in areas affected by Typhoon Rosita in Northern Luzon even as the search and rescue continues for the more than 20 people still trapped inside three buildings of the Department of Public Works and Highways in Mountain Province. THAILAND’S EASE of Doing Business(EODB) score has seen an improvement but its ranking has dropped as other economies have implemented reforms much faster, according to the World Bank. Thai banks have strengthened their push for the use of online banking services over physical branches with a suite of revamped mobile banking applications. A weaker baht pushed rice export prices in Thailand lower this week, although there were expectations of new deals with the Philippines and China, while rates in India languished at the 21-month lows hit last week due to sluggish demand. Vietnam is ranked 69th among 190 economies in terms of the ease of doing business (EODB), one place lower than last year’s ranking, according to the latest World Bank annual ratings announced on October 31. New regulations included in Decree No.107/2018 ND-CP have helped cut down costs for businesses in market engagement activities and created strong motivation for the improvement of their trading capacity and the promotion of rice exports, said business representatives at a conference in Ho Chi Minh City on November 1. A Chinese coast guard vessel was filmed apparently ramming a Vietnamese fishing boat in video posted on Facebook on October 12 by the Tin Tuc Mong Cai 24/7 news agency.